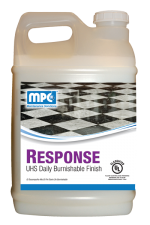 A very aggressive floor finish emulsifier designed for easy removal of heavy build-ups and excessively burnished finishes. May be used as a no-scrub stripper or with a conventional floor machine and pad depending on the concentration of the product and the condition of the floor. 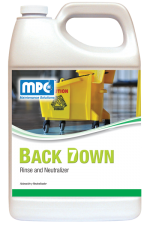 Sweep or dust mop the floor to remove any debris. Dilute stripper 1:4 – 1:8 with cold or mildly warm water. 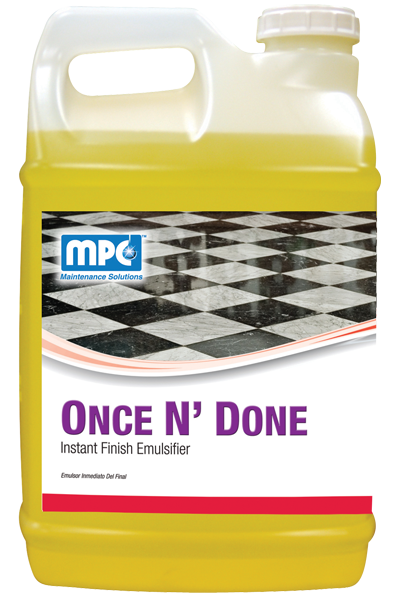 The optimum use-dilution will depend on the age and buildup of the floor finish. Apply the stripping solution liberally using a mop or automatic scrubber. Allow to stand for at least 3 – 5 minutes. Do not allow the stripper solution to dry. 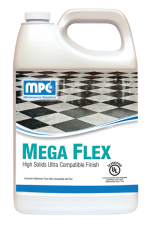 Be sure to completely cover floor to baseboards. Scrub with a rotary floor machine or automatic scrubber equipped with stripping pads. 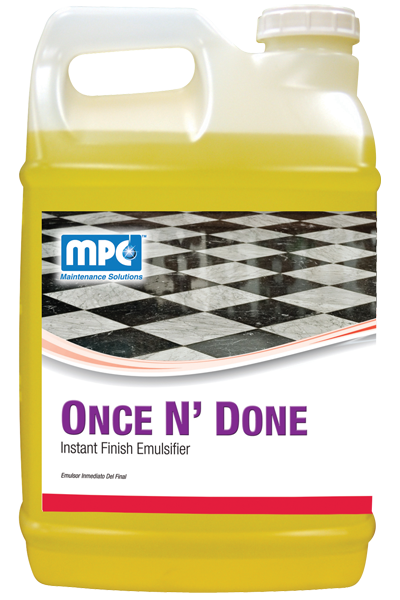 Pick-up the solution and old finish with a wet vacuum, automatic scrubber, or clean mop. Rinse thoroughly with clean cold water. NOTE: Wet floor may become extremely slippery. Be sure to keep pedestrian traffic away from floor until thoroughly dry.